Fractal Softworks Forum > Starsector > Mods > Modding > Domain Drones? Is it just me, or are they totally gone from the game now? Haven't seen any of them at all. That's a bummer; they were interesting, if underpowered. I feel like they should return as some sort of locust-like plague of Von Neumann devices that plant themselves in edge systems, build replicators, and eventually become a real problem for the Sector through sheer numbers, if not destroyed; they were an interesting concept that got wasted on providing players with easy Exploration-fodder. The Remnants should be their arch-foes, as they've been programmed with diametrically opposed "world views", and facing a Mothership should be a rough experience (think Zerg / Tyrannids here). Domain drones are common. 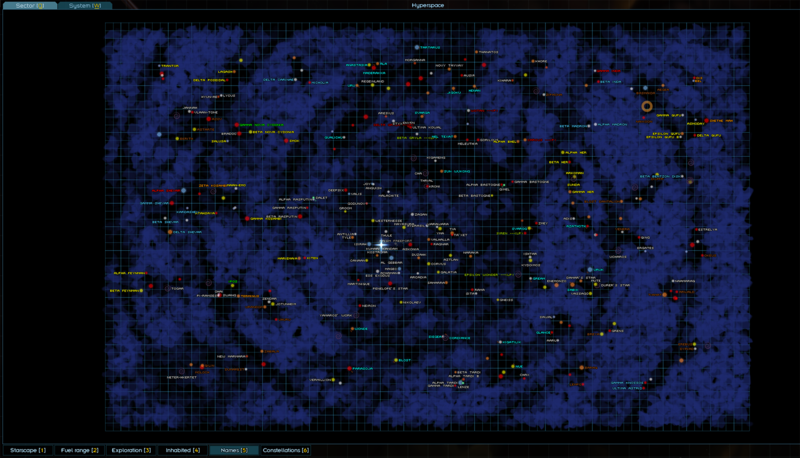 They're in small quantity in closer parts of know space, more of them is on outskirts of sector. Hmm, weird. I haven't seen one my whole run. Guess it's just bad luck on my part. Yeah, for me they appear in about one out of every two Domain probes and survey ships. For me, Motherships always have them. When I played vanilla, I would see domain probes very commonly, especially if I took exploration missions as the majority of them wanted you to go to some. However, in my current game after installing multiple mods, including Tyrador, DME, Unknown Skies, and Nexerelin which might affect the fringe the most, I have yet to see a single domain probe/ship/mothership even after exploring half the sector. Of course it might also just be bad luck, but I think one of these mods, or any others that affect fringe generation, might have something to do with it. On my current sector the drones are only on the left half of the sector. On the right side is not a single drone while they are quite numerous on the left side. Hmm. I'm not doing anything to generation until after the ProcGen has already finished (via my still-currently-private EZFaction build, which I'm gradually polishing). So, it's kind of a mystery why I haven't seen any Probes, let alone a Mothership. I've probably explored ~25% of the uninhabited Systems in the Sector. DME doesn't touch Domain drones in any way, and has a toggle for procgen elements. I did test it, so it's something else. Given the OP's record of naively breaking things, it's likely something he did. I like that one. "Naively breaking things since we played MUDs with TELNET"... that's definitely me, lol. To be utterly serious, though, I don't touch anything in Vanilla's pre-ProcGen, nor ProcGen; all non-mere-data operations that effect the Sector's entities are happening post-ProcGen. Pinkie swear! I like the empty-array idea. That's certainly possible; I can see myself leaving something empty to test something else, deleting one last thing out of some core array and presuming that would mean merge would ignore it, etc. Anyhow, it's just weird; I liked the Domain critters, harmless though they were. Drones are not spread in same quantities on both side of map (left-right). Sometimes there will be more on right, few on left, sometimes both have roughly the same , sometimes small quantity on both sides. Motherships in each game are only two per sector, with i think one cryogenic vault per game with Guardian defending it. I think the distinction between light blue and gray is that light blue is systems without planets? That's the only one I'm not sure of. Hey, that's great, didn't know about that. I'll take a look over here. Light blue is when the system has a Tags.THEME_MISC tag, and gray is "none of the other conditions matched". Ah, that's a shame. It would be really nice for testing if I could assign a color to see what's populating correctly and what's not. (not to mention making it easier to say 'just go into dev mode and turn off sensors, the X color systems are affected by my procgen code' when people complain). But I get why; it's extremely marginal.